One day, you will be old enough to start reading fairytales again. Carl of Stainless Steel Droppings is hosting the 10th annual Once Upon a Time Challenge. It has been many years since I last participated in the challenge, but I look forward to it every year. It's a sign that spring is finally upon us. Not to mention the challenge is a portal to so many wonderful and fantastical books, movies--and even games. 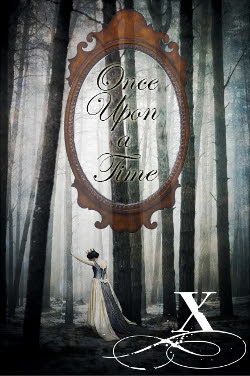 The Once Upon a Time Challenge is designed for readers to explore books that fall into the realms of fairy tale, mythology, folklore, and fantasy. There are a number of ways to participate, which you can find detailed on the sign-up page of Carl's blog. The main goal is to have fun. If you don't have time in your schedule to read yet another book--watch a movie or television show or read a short story! There are many choices available to make participation easy for everyone. This is more about the book loving community sharing in the love of a story than it is about being a challenge. I am going for the easiest, the Journey, which commits me to reading just one book. It can come from any of the four categories. I am taking the less-of-a-challenge path this time around, which works out best for me. Still, I hope to read more than just one book that fits the challenge between now and the close of the challenge on June 21st. And this might be a good excuse to re-watch Labyrinth, which my husband has been itching to do, for the Quest on Screen level. Maybe the last thirteen episodes of Haven I have to watch can count towards the challenge as well . . . I started the year with the intention of joining the Once Upon a Time Challenge if I could, and so here I am, ready to start out on my journey. I hope you will join me! Have you read any of these books? If so, what did you think? Are you taking part in the challenge? I hope you have fun with this challenge, Wendy. I know that so many love it. Don't think I'll partake, but I'll be there in the fall for the R.I.P. event. Kay - I think I've participated in RIP more than I have this one. I am looking forward to reading more fantasy-based reads this spring. Have fun and looking forward to your reviews, Wendy! Loved Marked in Flesh and The Order! The Shattered Court--not so much. Jenclair - I think I got The Order because of you. :-) And I remember you not especially caring for The Shattered Court. I think that's why I ended up not rushing to read it right away. Hmm, not sure if I'll do this one right now. I did it two years ago in the Spring and read a fairytale/folktale for it. Was lots of fun to actively seek out fantasy, though, as opposed to dark scary Halloween time reads. I'll consider it, but have fun picking out a book and a movie. I haven't read any of your above titles (do you have them all?) but I've heard of about half of them. Jenclair has read some of these books, I believe. But have fun choosing your books (s) and taking part! Rita - I really enjoyed participating in RIP in the past. I may do it again this year if I remember. I actually do have all of the above titles. I think a few were recommended by Jenclair. :-) I wish I could get to them all, but I know that's not even close to being possible. This sounds fun! and Labyrinth! I think a re-watch is definitely in order. I am reading a fantasy book right now-- The Name of the Wind. It's big! 700+ pages. I'm liking it. Debbie - I haven't see Labyrinth in years and years. It'll be fun to watch it again. I think my husband is hoping he can convince our daughter to watch it. I am glad you are enjoyind Name of the Wind. I really want to read that at some point. My husband loved it. Oh, this is absolutely FASCINATING!! I had not heard of this challenge before. I did participate in the R.I.P. X Reading Challenge last year, but don't think I'll do so again, as reading books even bordering on the horror genre is just not appealing to me. Of course I've also checked out Carl's blog, Stainless Steel Droppings, although I haven't visited for quite some time. I'll go check out this challenge, though. I don't know if I'll join, since I'm already participating in another challenge -- The 2016 TBR Reading Challenge, hosted by Evie @ Bookish Lifestyle. But then again, you never know! I might end up joining this one, too! Maria - I did not officially participate in RIP last year, although I was reading books that would have qualified for it. I am picky about the type of horror novels I read--most are probably more thrillers or paranormal than they are actually horror. Gory horror is not my cup of tea, but I do enjoy a good psychological thriller now and then. I hadn't heard about this challenge before your post. I need to revisit fantasy and fairy tale-inspired books at some point. Have fun!! Diana - Thanks! I am really hoping to read more fantasy. I've read some of late, but not enough. Good luck! Definitely read Marked in Flesh. Christy - You don't even know how much I want to read Marked in Flesh. I am being good though since The TBR Triple Dog Dare isn't over until April 1st, I have to wait until then to start it. It's so hard not to read it now. I've read Queen of Hearts (and I loved it), but none of the rest. I've been looking for reading inspiration, so thank you!! I am so glad to hear you loved Queen of Hearts! I am looking forward to that one. Sounds like fun! I want to get a bit caught up on my ARC pile before I sign up for any challenges but maybe I will do a few next year. I really do want to read the Anne Bishop series! Carole - I understand. I probably shouldn't have joined this one, but I figure it was safe since I the Dare is ending soon and my other challenge ended earlier this month. I highly recommend The Others series. I hope you do get a chance to read it! How did I miss this?! I've got to get over and sign up! I just signed up for that. It always sneaks up on me and I've just quickly drawn up my list! I've not read any of the books on your list and will have to go check them out! Happy OUAT! Olduvai - I am glad you are participating! I threw my list together at the last minute too. I hope you enjoy the challenge! I still haven't decided which book(s) to read but hopefully I'll pick up some suggestions. I need to check out some of the ones on your list. As I don't read a lot of fantasy I'm a bit lost! Have fun with the challenge! There are a bunch on your list I haven't read so I look forward to your thoughts on them! I don't read enough fantasy books but I so want to. I am going to see if I can join the challenge and try to make space in my reading schedule for this challenge. This is fun! Athira - I need to read more. I overdid it with tours again this spring, and none are fantasy. Hopefully I will be able to work a few in. This is a fun one. Enjoy! Great list. Naida - I'm excited to be participating!